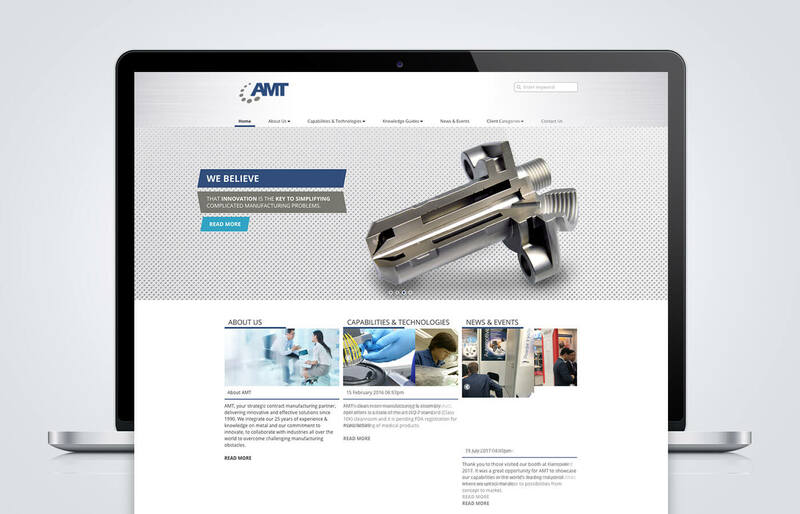 AMT, a turn-key contract manufacturer serving global customers, is a worldwide market leader in the electronics, medical, automotive, industrial and energy sectors. 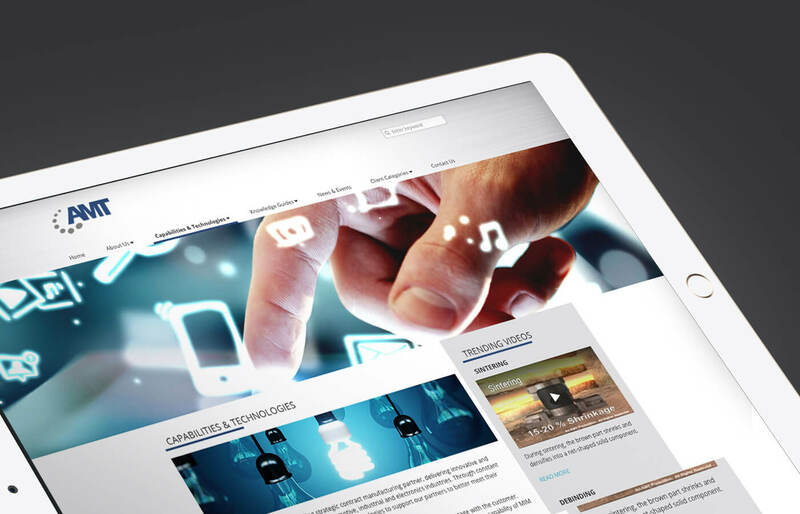 Mashwire was commissioned to revamp the website to ensure relevancy of its content, branding and technology. We started off the project by understanding the brand and its role of the digital tool in marketing communication set by the internal stakeholders. Deep diving into the previous site’s analytics, we understand more about the audiences. Integrating the understanding of the brand and target audience, we crafted the approach that differentiates with competitors through user interface/experience design and engagement with content. We attract audiences through content. The content departs away from the traditional show-and-tell of what the company is capable of, moving into showcasing the in-depth knowledge of the technology they own. Multimedia content were weaved in alongside with knowledge papers, coupled with an e-magazine layout to increase the engagement with readers. As knowledge grows with time, a back-end system allows the brand to update content regularly, with an intuitive interface for the audience to look for new information with every repeated visit. The brand then moves into bonding with the audience by encouraging repeat visits through easy-to-find new content and allowing them to download knowledge papers and guides after submitting their contact information. These data collected serve as potential sales lead and a channel for the brand to push new information to their audience. Average duration spent increased during the first week of launch.